Are you looking for a company that does Structural Alterations in Westminster ? SAS Projects is the ideal company for your Structural Alterations project in Westminster . We have many years experience in Structural Alterations and other services in Westminster . Our highly skilled team can provide a trusted services including project management and delivery. We have been serving companies and delivering projects in and around Westminster for over 10 years and have becuase a trusted and respected partner on many projects. Our Structural Alterations team have the experience, knowledge and skill to deliver your project on time and on budget. Structural alterations can vary in the degree of severity and the overall size of the project. From knocking down interior walls, to building additional space to the existing building, they will need to be undertaken by professionals and comply fully with regulations. Successful alteration projects will need to be well planned out using qualified engineers and with extensive plans drawn up. They will also need approval from the appropriate authority and will need to comply with safety and building regulations. Remember that if your premises are leasehold, you will need to gain permission from the leaseholder or management company before you undertake any structural alterations to them. We have a wealth of in-house expertise, enabling us to undertake a wide range of structural alterations. We can provide practical and cost effective solutions that allow our clients to reconfigure existing buildings to meet their ongoing requirements. By using the combined services of an independent structural architect or architectural engineering team, we can offer bespoke, turn-key solutions for anyone looking to extend or remodel their business premises. We offer a full design service including various 2D and 3D visualisations to provide a visual representation of the completed works. 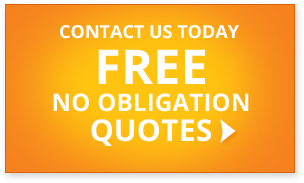 for a fast, free, no-obligation quote or to discuss your structural alterations project.